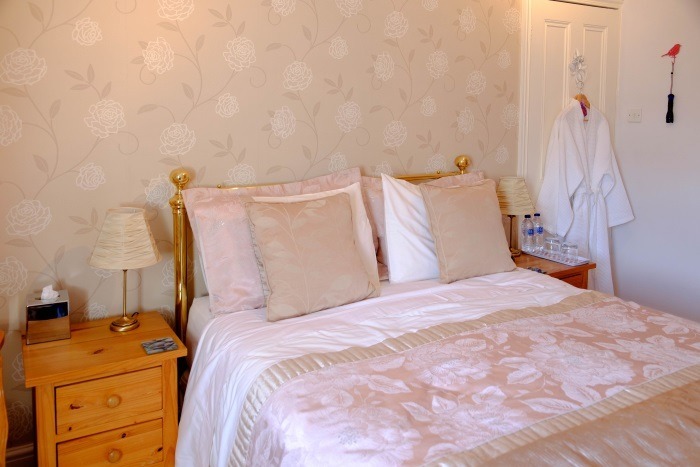 There are 4 luxuriously appointed bedrooms. 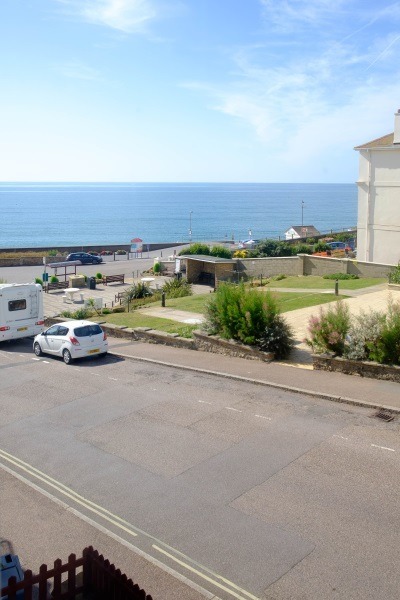 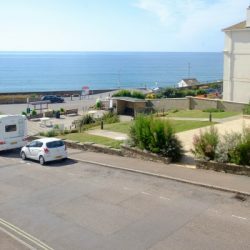 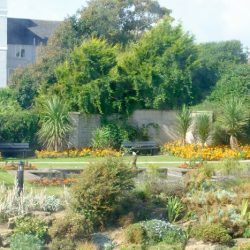 Our premier rooms Jubilee View on the first floor and Jurassic View on the second floor have Sea Views and are at the front of the house both rooms are en-suite and beds have Hypnos mattresses. 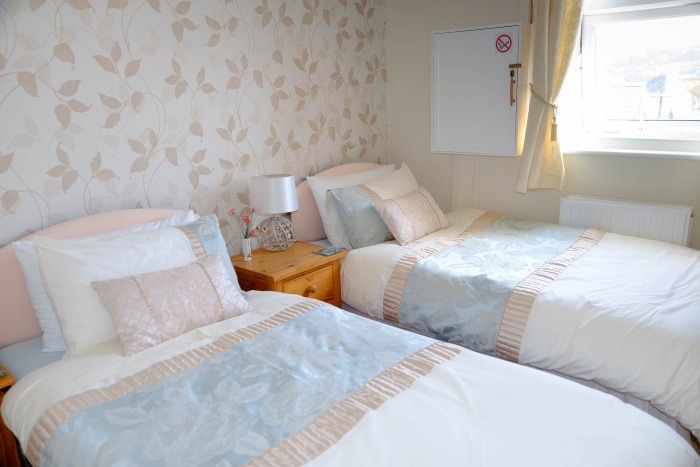 Jubilee is a Double bed and Jurassic is a Triple with a Double bed and a Single bed. 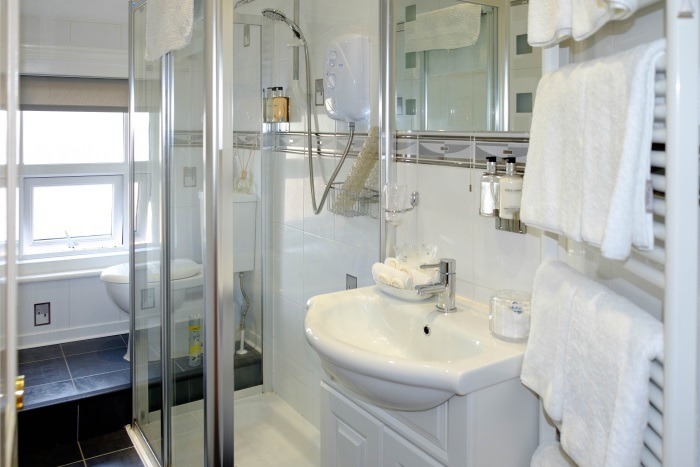 Jubilee and Jurassic both have electric towel rails. 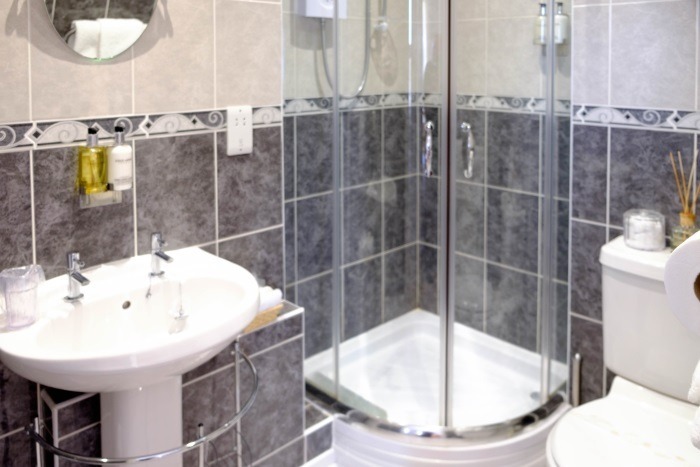 Haven View and Axe View are rear facing, these rooms are NOT en-suite although the external shower room is shared between Haven View and Axe View. 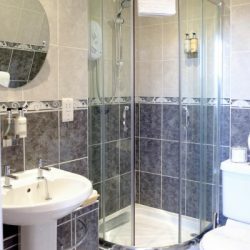 The shower room is next to Axe View, gowns are supplied in all rooms. 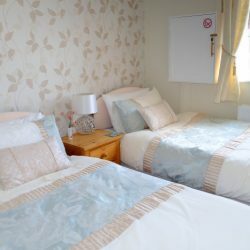 Haven View is a Double King size Bed with Hypnos mattress and Axe View is Twin Standard Single Beds. 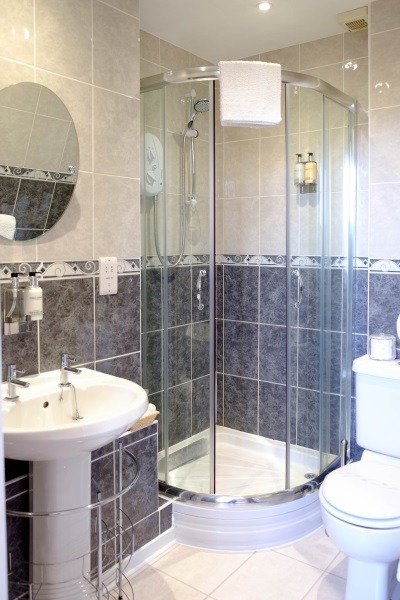 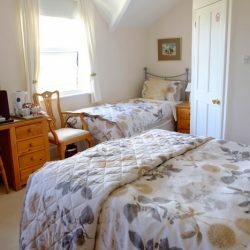 These rooms can be combined for a Family of four or friends who will share the shower room. 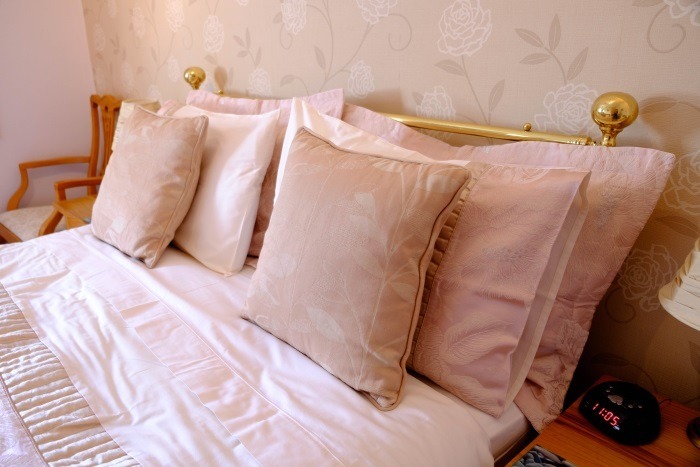 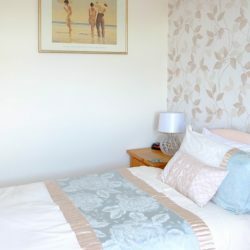 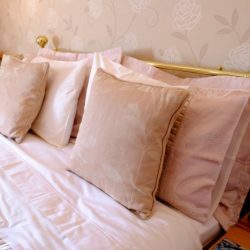 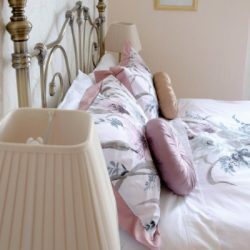 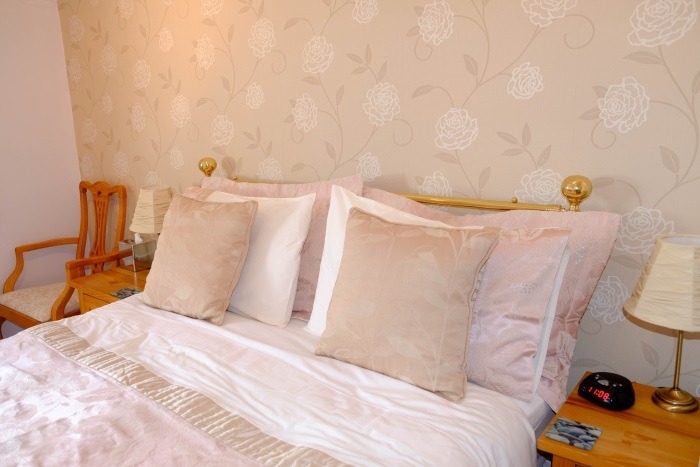 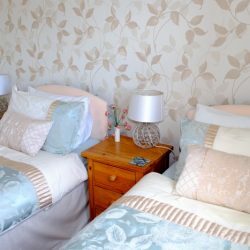 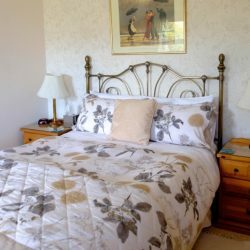 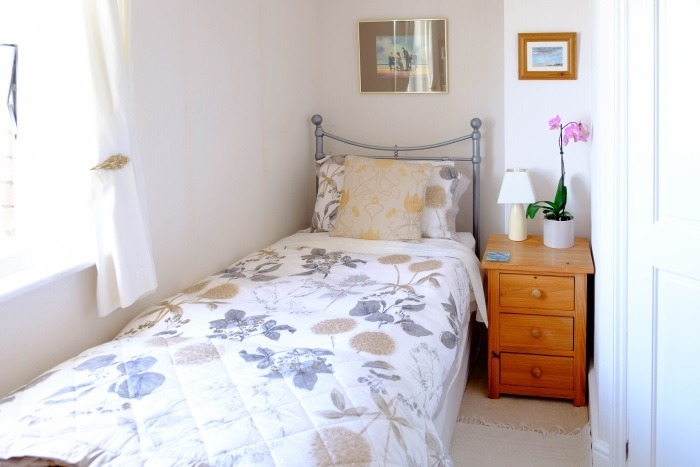 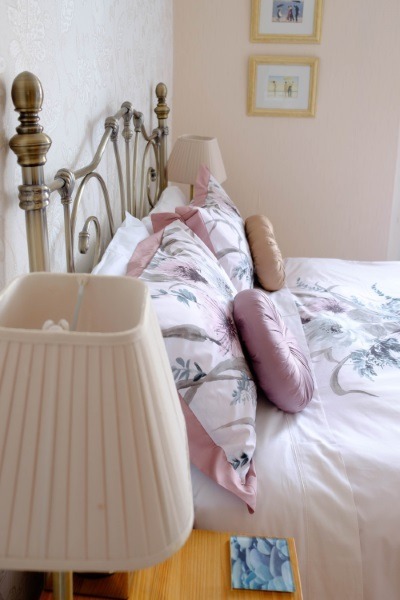 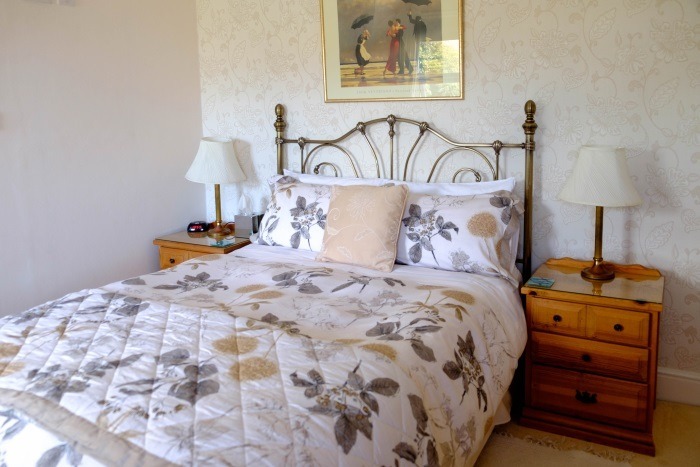 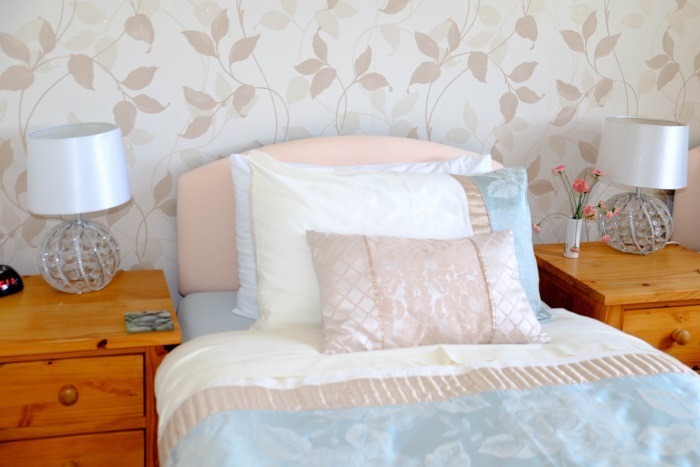 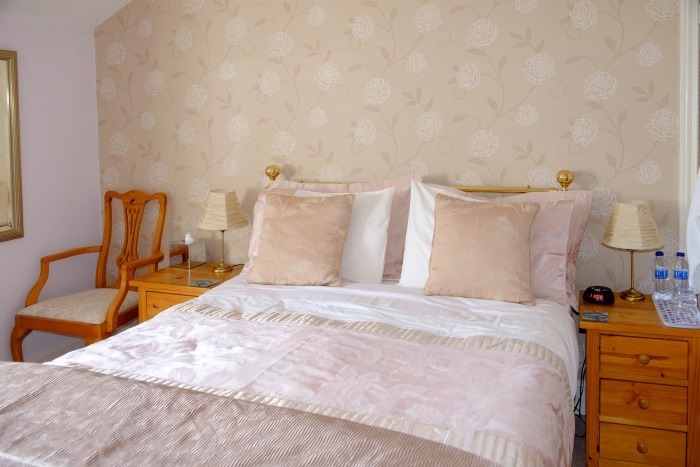 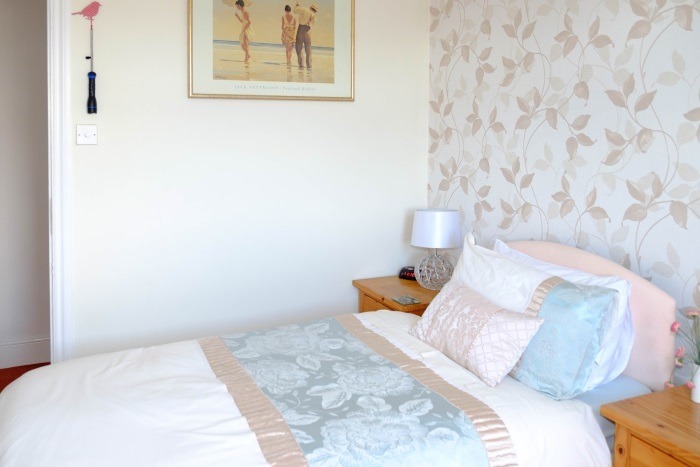 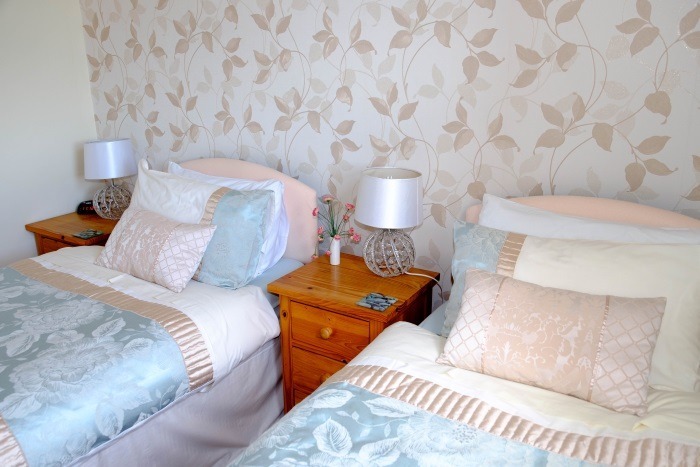 All of our bedrooms have luxurious quality bedding and choice of pillows. 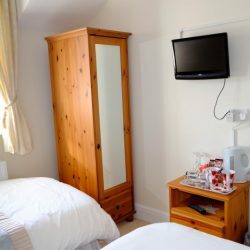 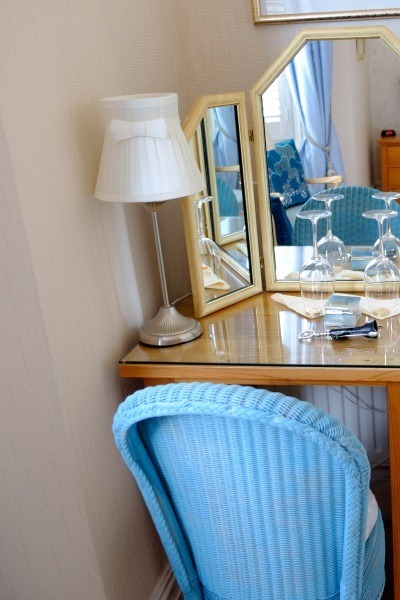 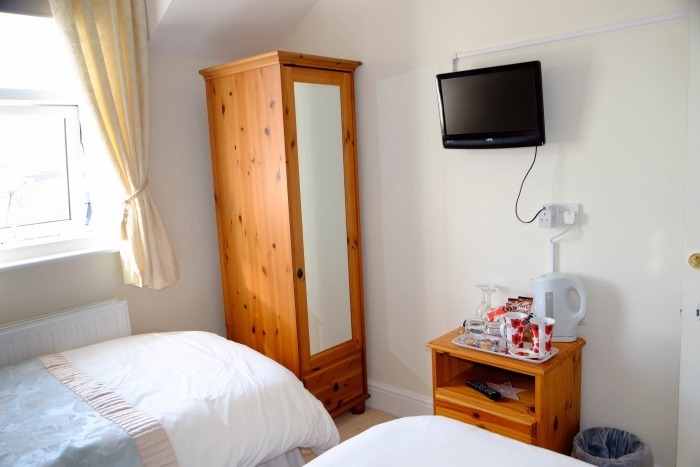 The rooms have complimentary toiletries, flat screen digital TV/DVD player combined, hairdryer, radio alarm clock, cork screw, plus tea and coffee making facilities with biscuits.. A fridge is on the first floor for guests use. 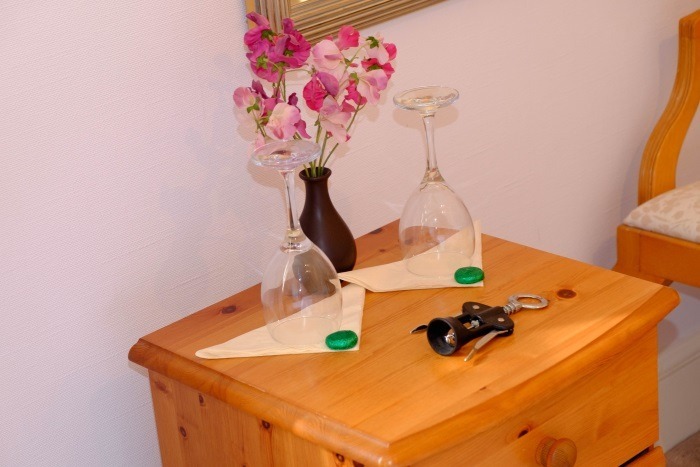 A flask of milk is supplied daily for your hot drinks in your room. 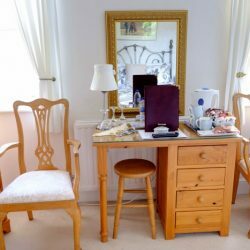 Ironing facilities are available. 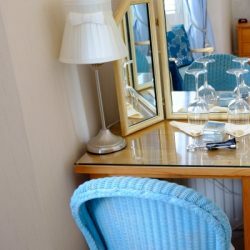 We ask that NO take away foods are taken in the rooms. 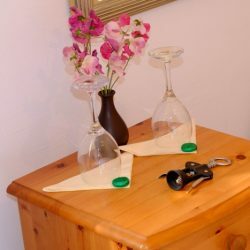 We do set up the dining room by request should guests wish to eat. 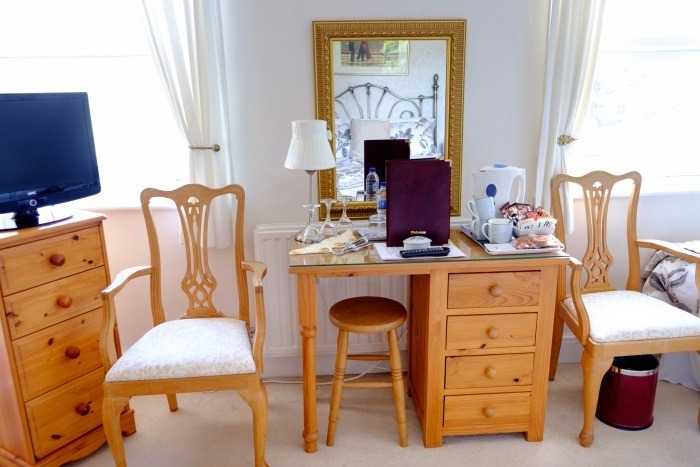 Free Wi-Fi internet access in all rooms. 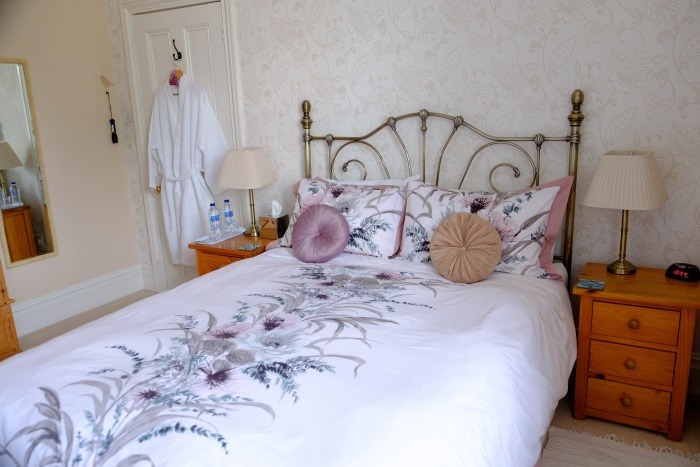 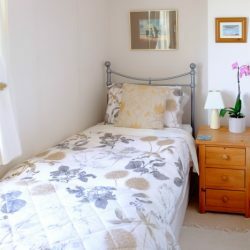 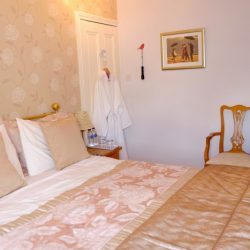 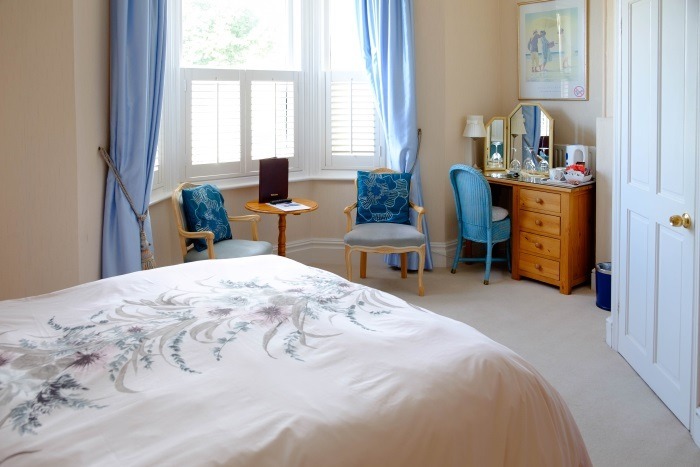 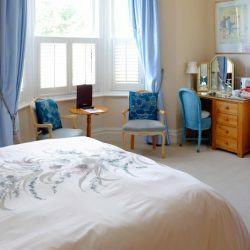 Jurassic is a large family / double room with a Hypnos king-size bed and a pocket sprung full size single bed. 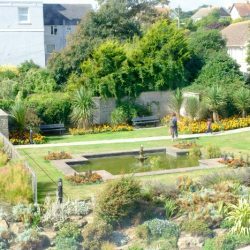 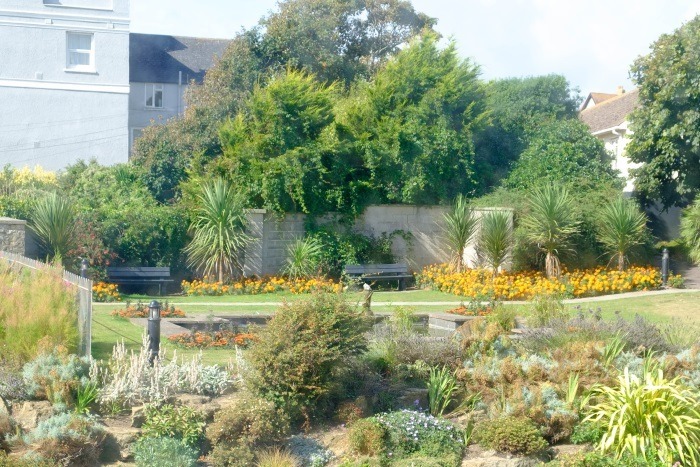 Our Premier Rooms have scenic views of the sea, cliffs and gardens and both have luxury fully tiled en-suites. 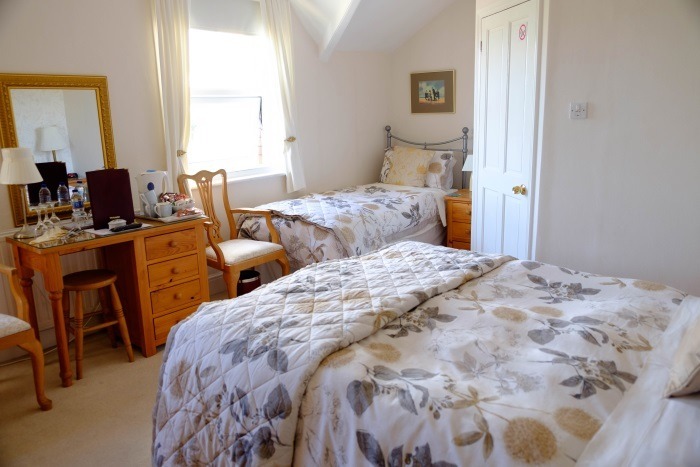 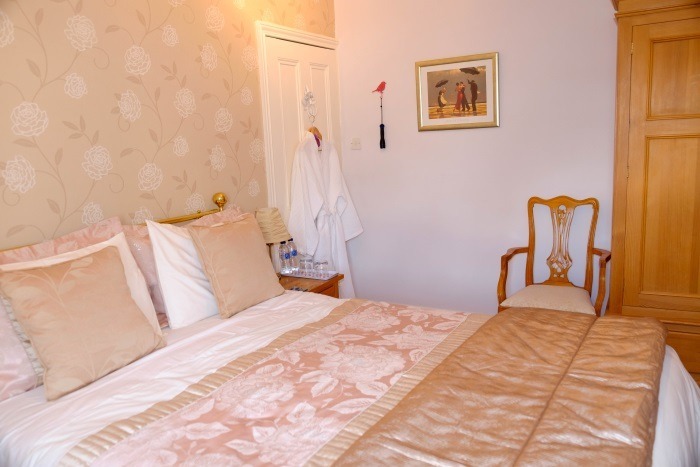 The third bedroom is a double, again with king-size bed, and its own shower room (unshared). 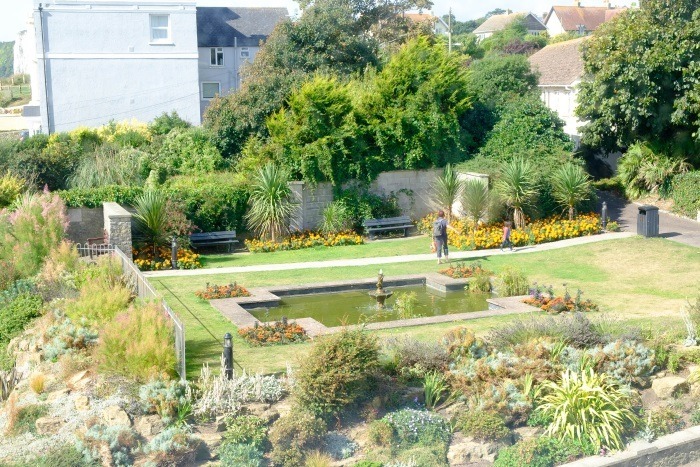 It looks over the town to the landmark Haven cliffs and the cliff top golf course at Axecliffe. 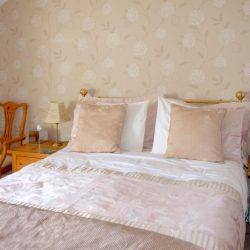 We also have a small fourth twin bedroom adjacent to the third but it does not have its own shower room. 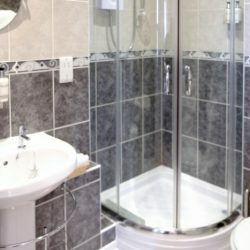 This is only available in conjunction with room three for, say, a family of three or four that would be happy to share the private shower room. 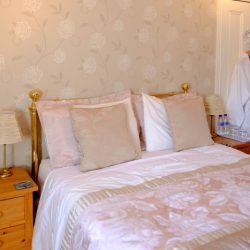 Call 01297 22678 to check availability and rates. 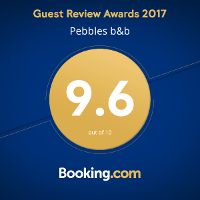 Copyright (c) 2016 Pebbles B&B - All Rights Reserved.